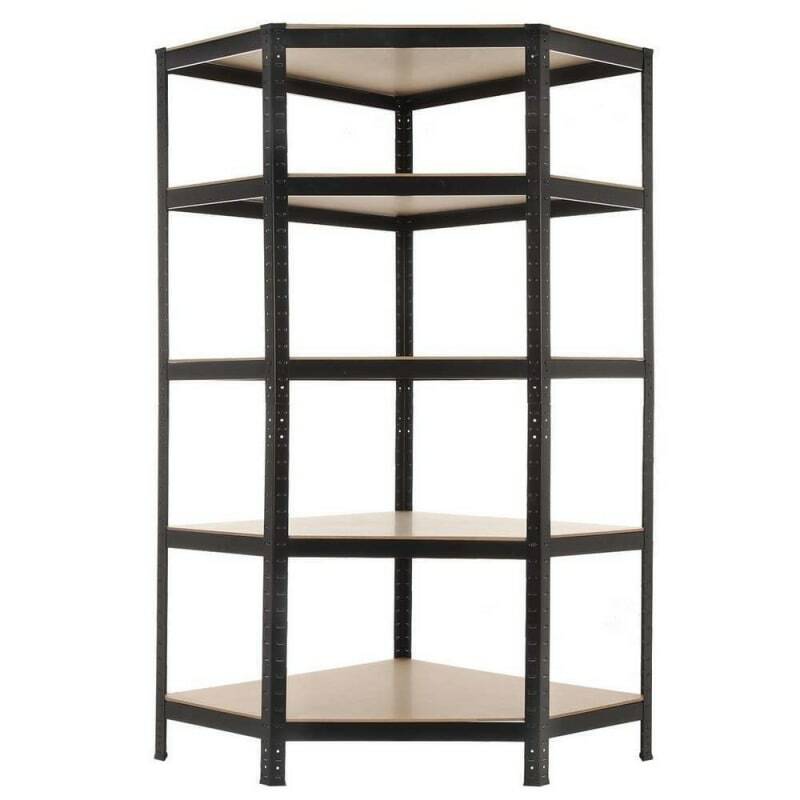 The shelves are adjustable so you can build the perfect storage solution for your needs. 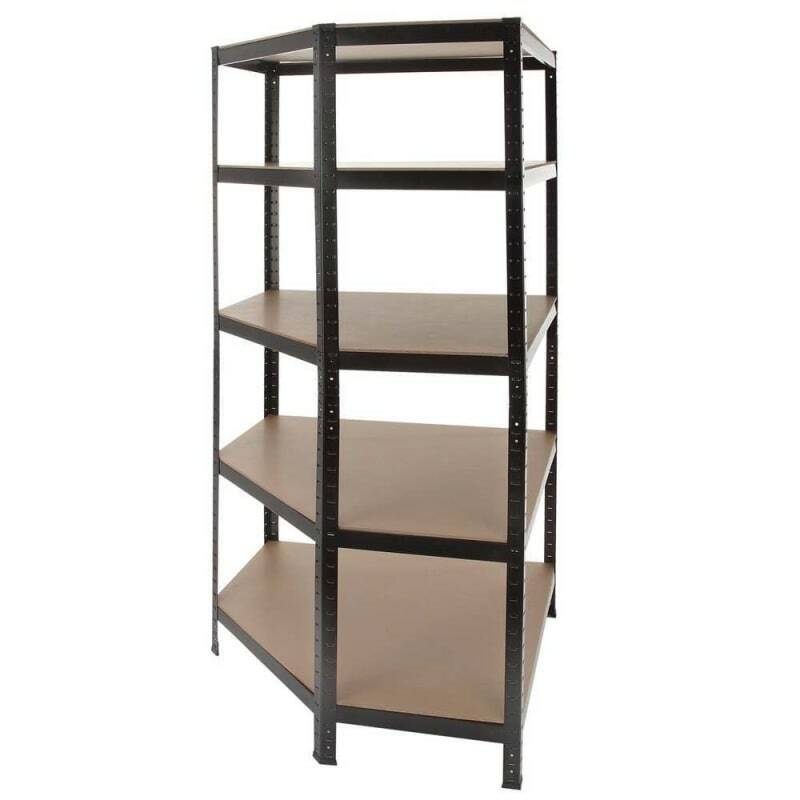 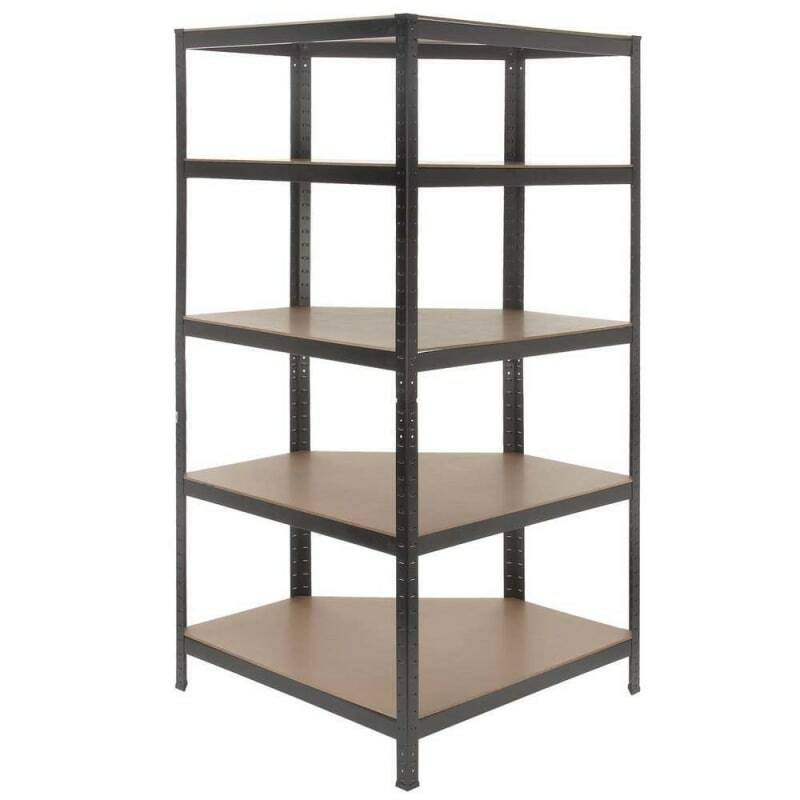 This heavy duty corner shelving unit allows you to maximise space that can so easily be wasted. 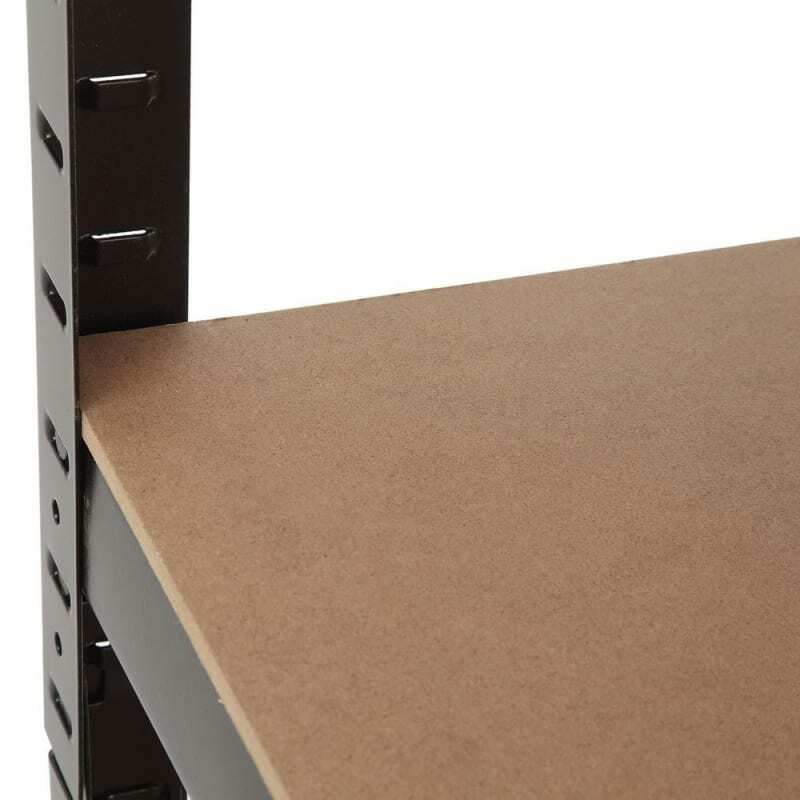 Perfect for in the corner of your garage, shed or store room, each shelf can take a huge 265kg when evenly distributed. 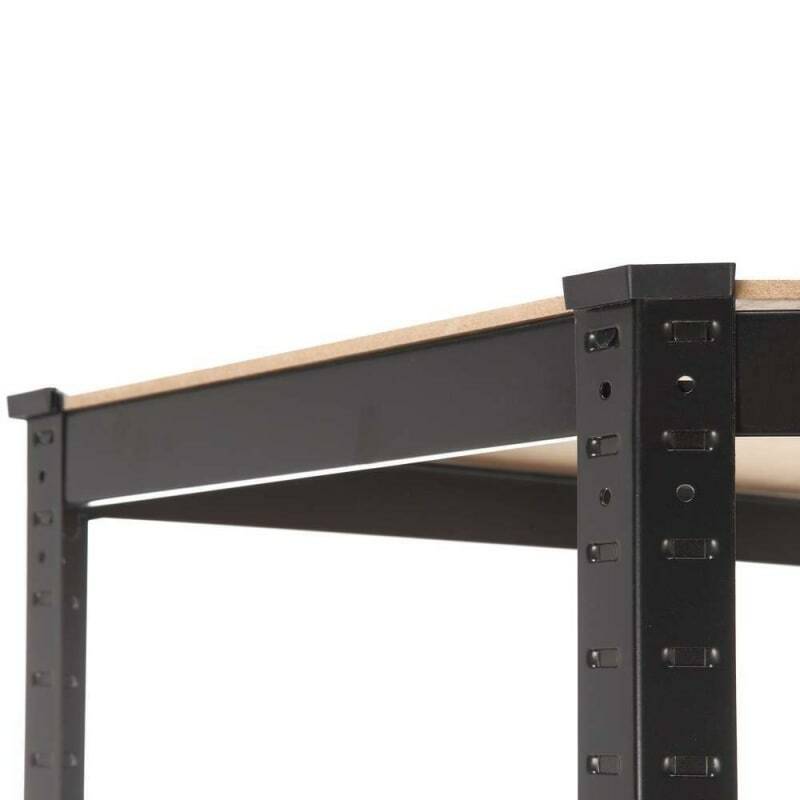 That’s thanks to the steel frame, which is powder coated so won’t rust if you use it in damper places. 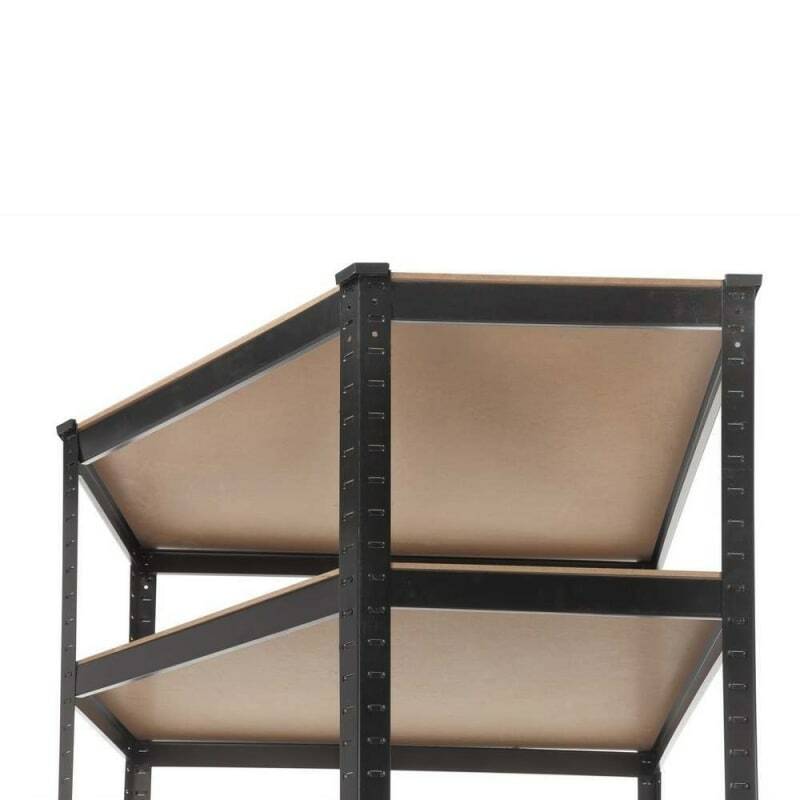 The shelves are adjustable so you can build the perfect storage solution for your needs. 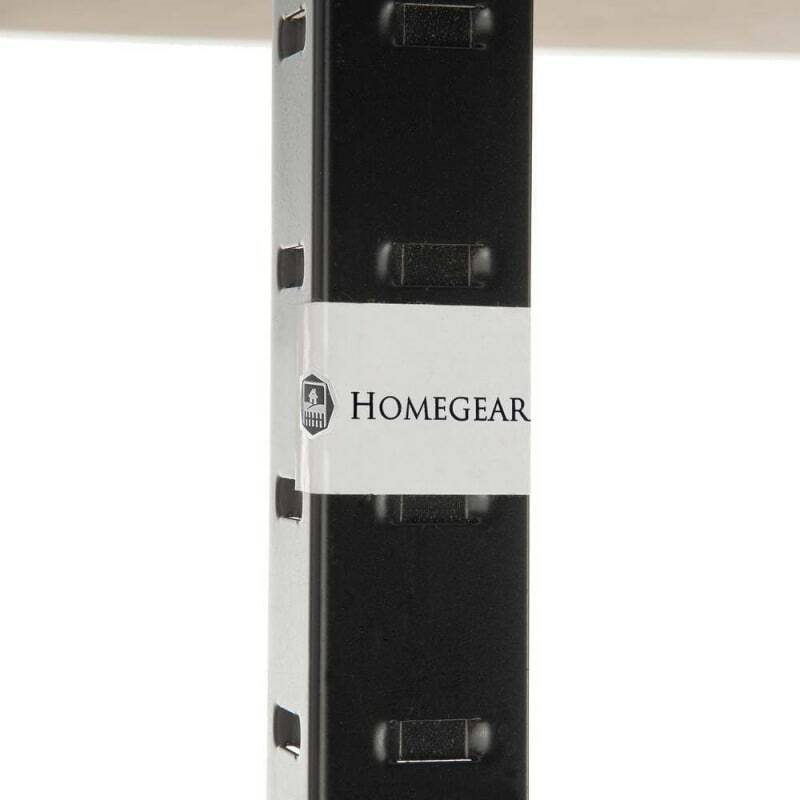 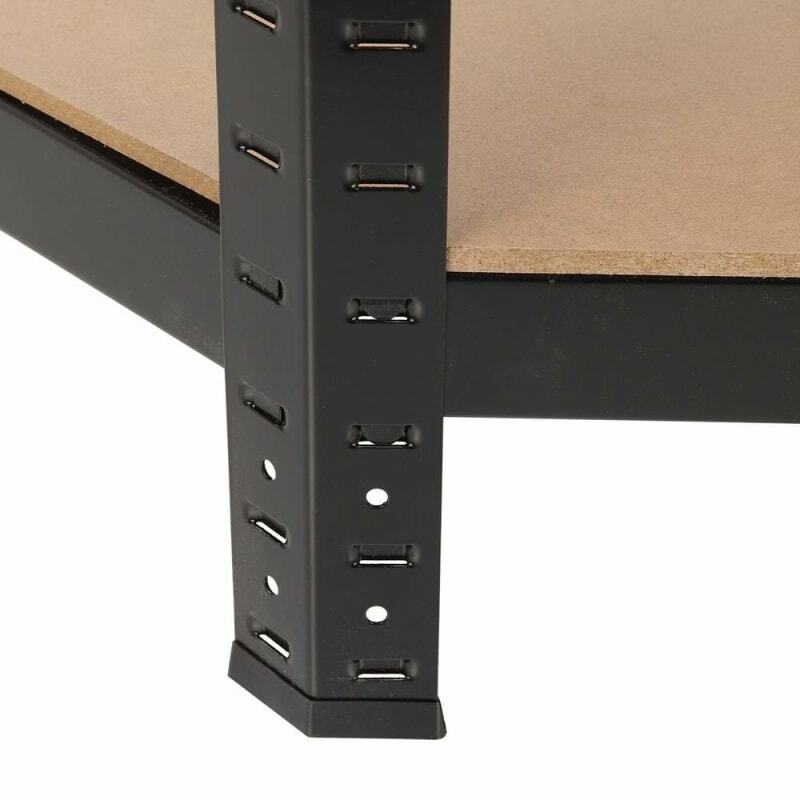 It’s easily assembled – no need for bolts, the pieces simply slot together.